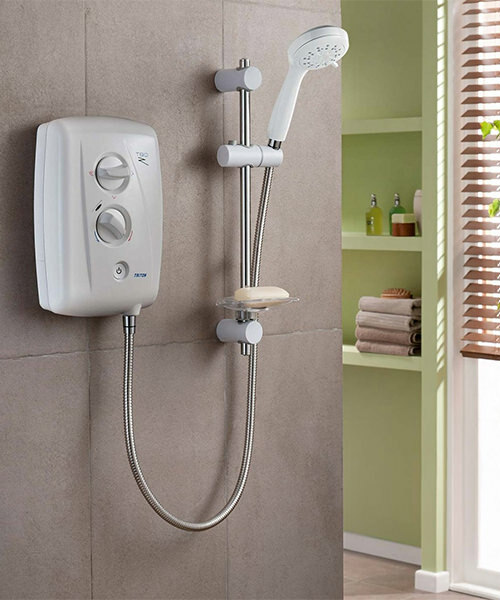 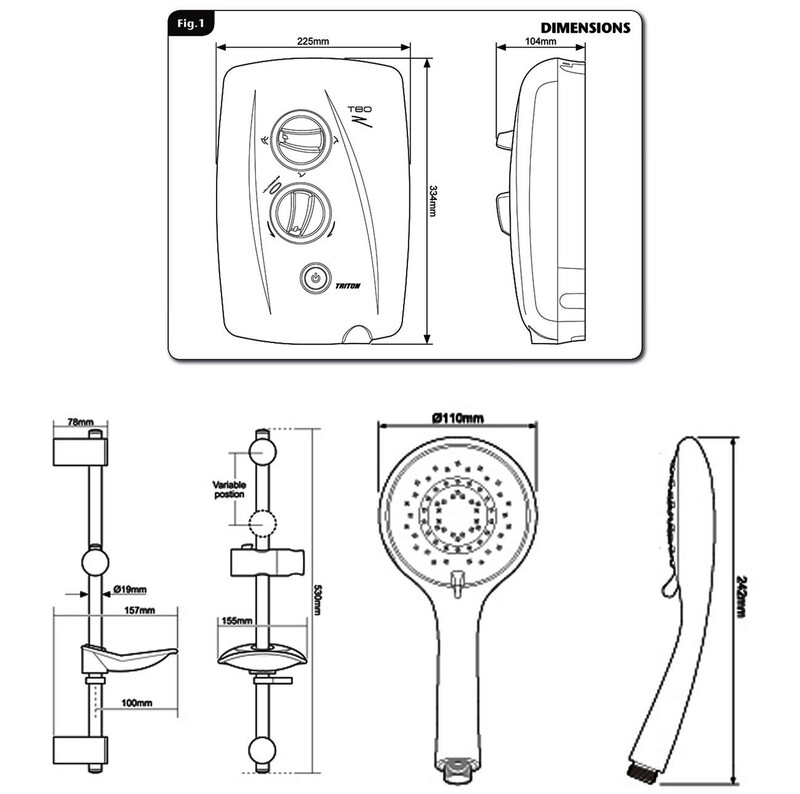 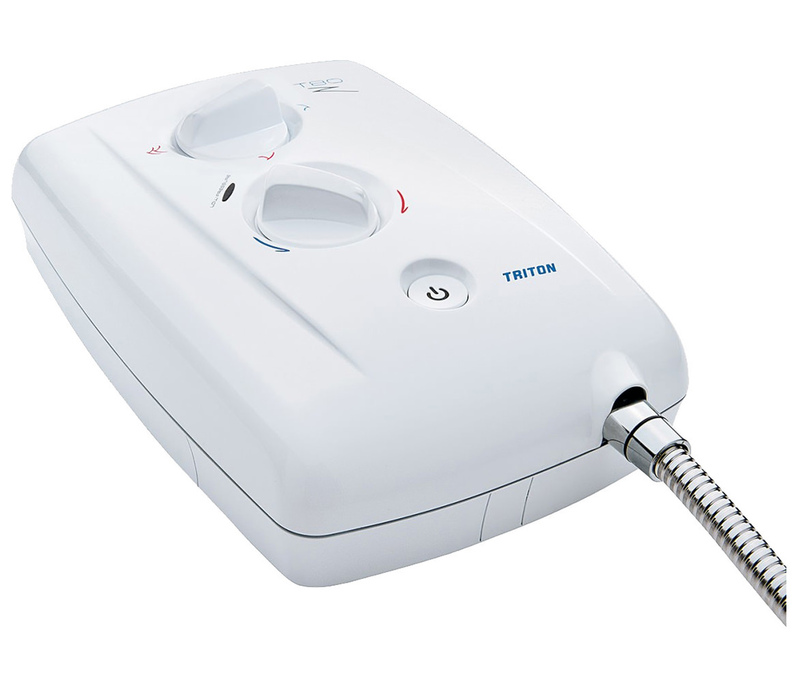 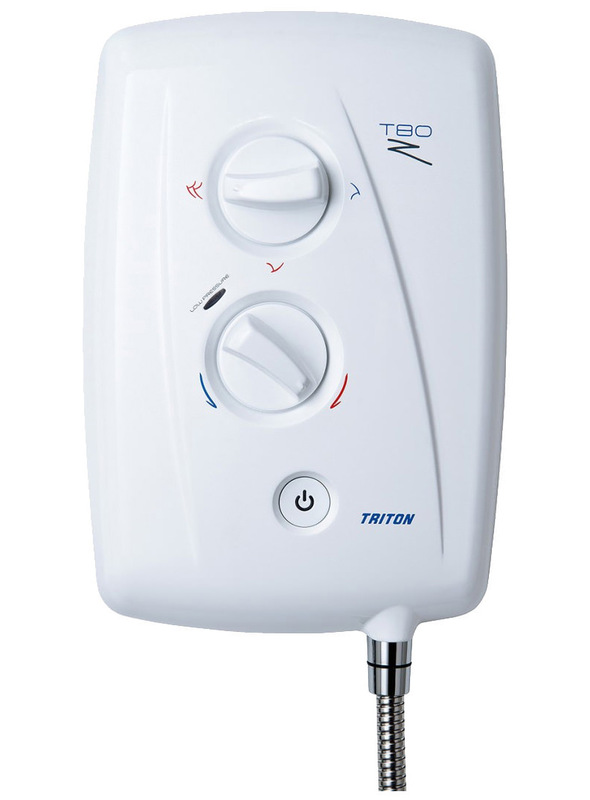 The Triton T80Z Fast Fit Electric Shower is stylish, hi-tech and practical and the perfect replacement shower system for those looking to make a new purchase. 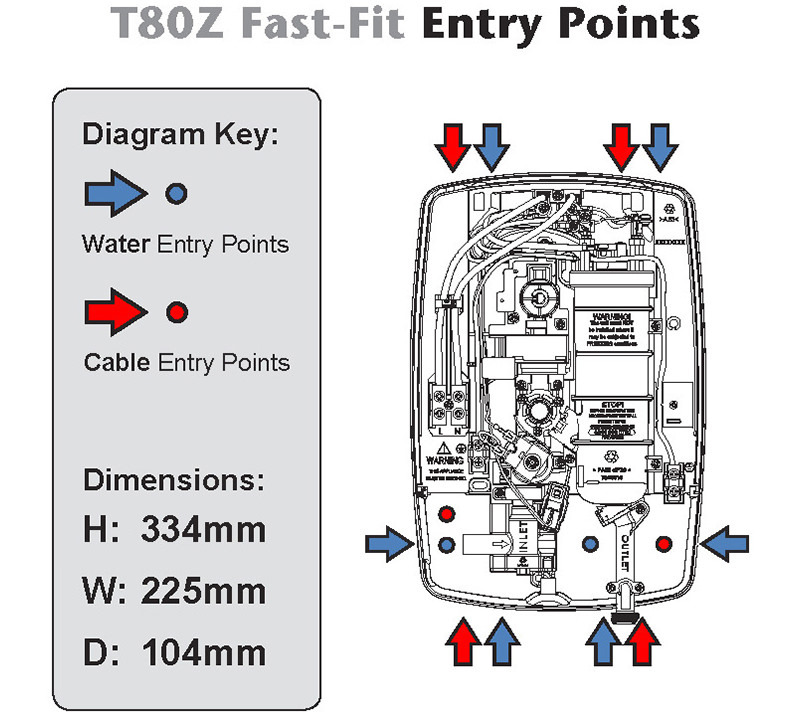 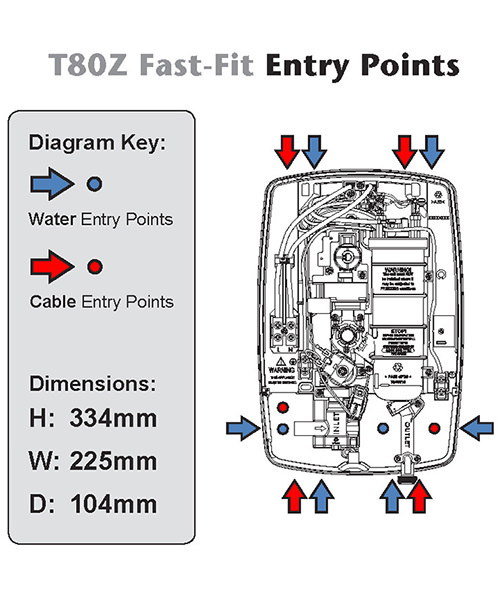 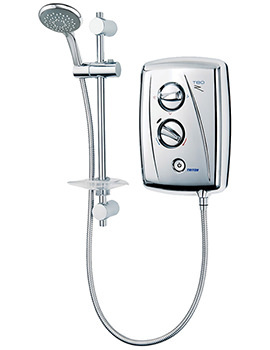 It has multiple water and cable entry points giving you flexibility in installation. 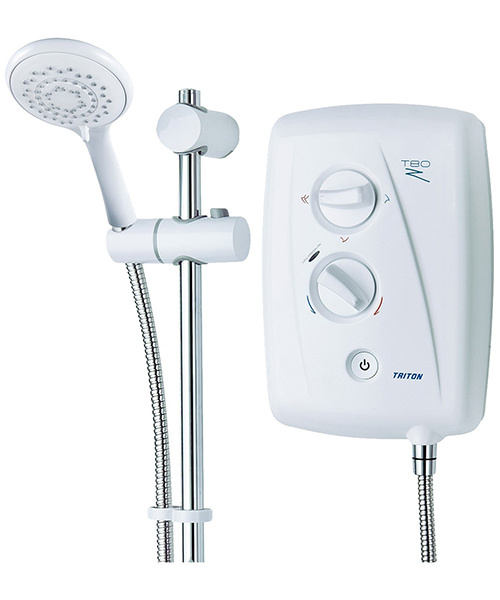 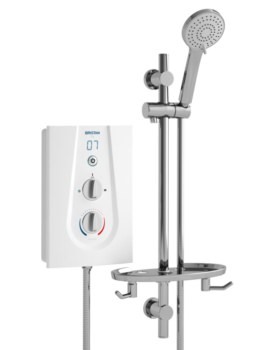 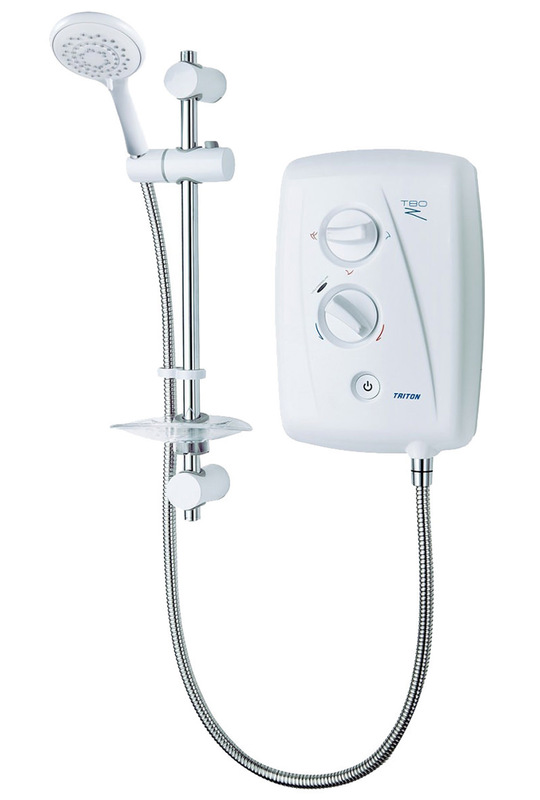 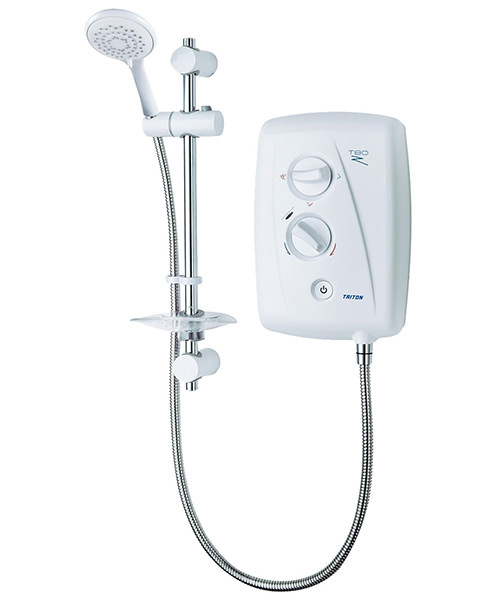 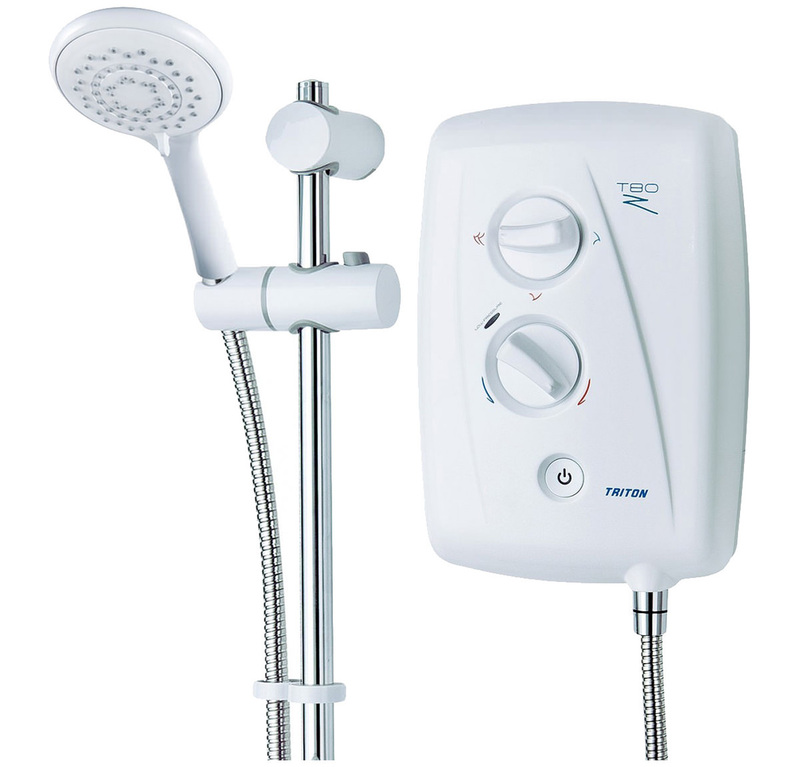 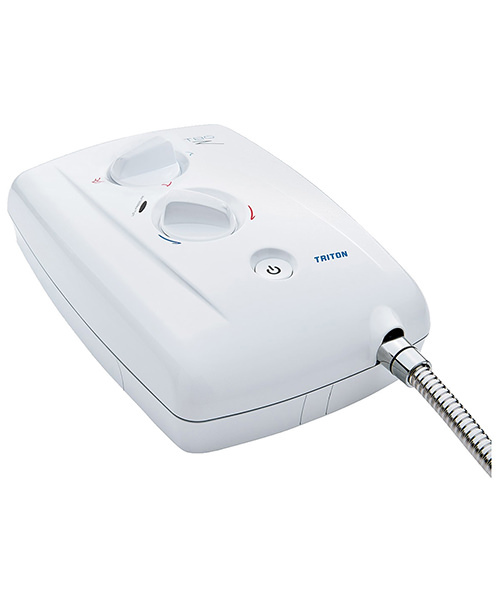 A simple interface with start/stop push buttons and power on indicator make it easy to set favourite shower temperatures. 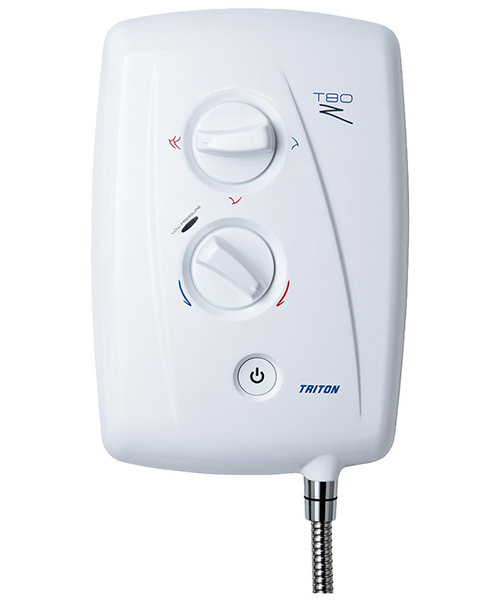 A ‘low’ pressure indicator lets you know if there’s something wrong but operates even when water pressure is insufficient. 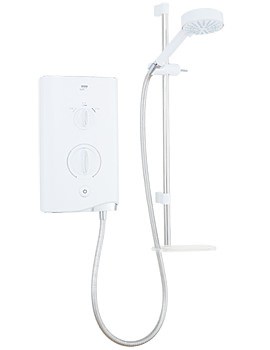 The swivel-fit installation with fully reversible water inlet allows left and right connections. 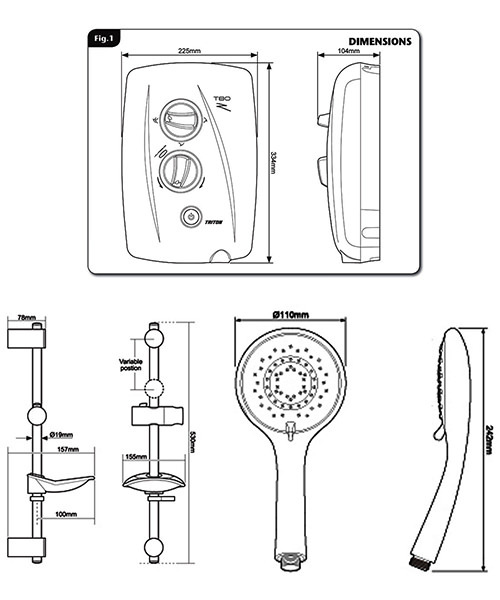 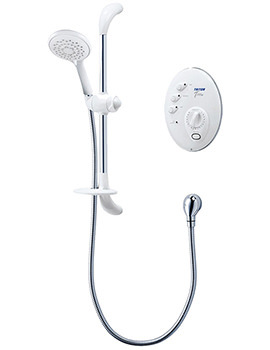 It is supplied with a stylish handset complete with a rub-clean shower head and 3 joyous spray patterns for a personal showering experience. 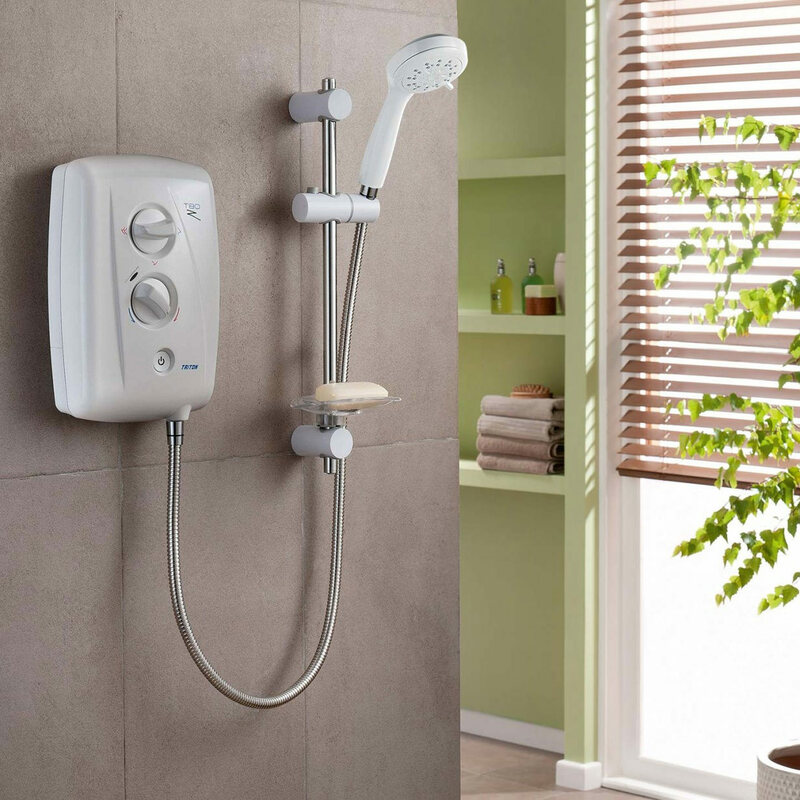 The riser rail completes this package which comes with a two-year guarantee from the manufacturer.